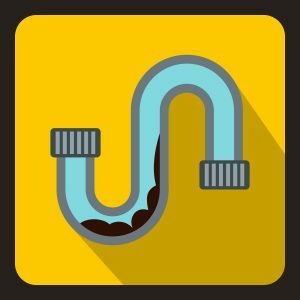 The Trouble With OTC Liquid Drain Cleaners | Weilhammer Plumbing Co. Inc.
A clogged drain is never a good sign for your plumbing. It is a frustrating situation that seems to pop up at the most inconvenient times. Whether it’s the bathtub or kitchen sink, no one can live harmoniously with a drain that doesn’t drain. When a clog occurs, people generally turn to an over-the-counter chemical drain cleaner for a fast and effective remedy. These can be purchased at any local general store or home improvement store at relatively low prices. This, along with their unwavering effectiveness, makes them a popular product for drain cleaning and clearing. But have you ever heard the phrase, “Too Good to be True”? Well, it applies to chemical drain cleaners. Continue reading to learn the trouble with liquid drain cleansers and why they are hazardous to our plumbing. Chemical drain cleansers, like Drano, are damaging to pipes. Whether plastic or metal, the chemical content in OTC drain cleaners will eat away at PVC or sit inside metal pipes and corrode them overtime. This could lead to whole-house plumbing and pipe replacement; a costly and tedious undertaking. Plumbers only recommend to use chemical liquid drain cleaners at certain times, and even at those times, with great caution. 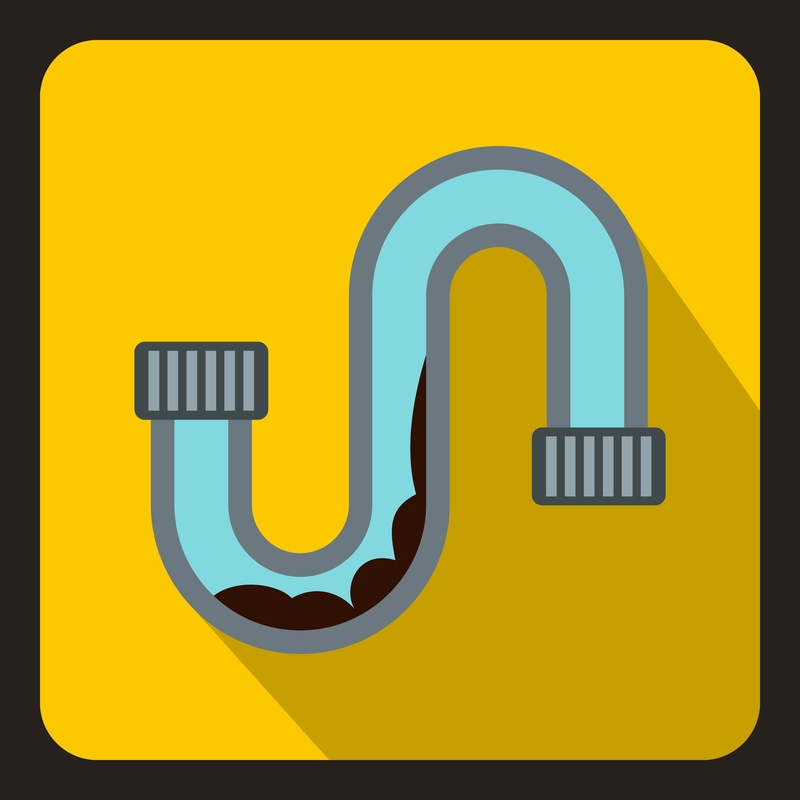 For example, small drains that are clogged or need cleaned can be managed well with a liquid drain cleaner; however, it can still pose a risk to the plumbing pipes. And the more frequent these harsh products are introduced into a plumbing system, the more structural damage will occur overtime. This is why a plumber is the best solution for re-occurring clogged drains. A plumber retains all the tools and resources needed to provide natural and safe drain cleaning and clearing services within a convenient time-frame. This solves the problem the first time, without jeopardizing the integrity of a property’s plumbing system. Note: Never use liquid drain cleaners in toilets. Synthetic chemicals will sit in a toilet’s tank and seep into the porcelain. Then it can heat up and cause the toilet bowl to crack, or even explode! When it comes to toilet clogs, remember this motto: If a plunger can’t fix it, call a plumber. Call Weilhammer Plumbing Co. Inc. at 317-784-1870 for prompt and professional drain cleaning and clogged drain services in Indianapolis. 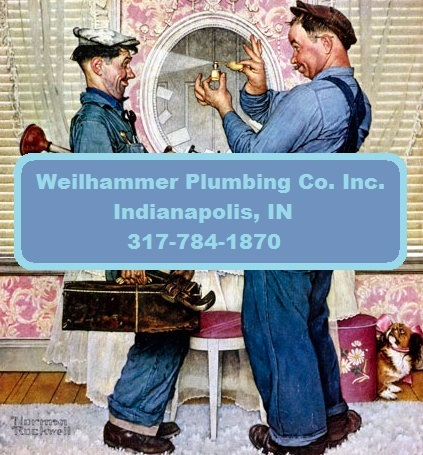 You can speak with a friendly company representative, or with master plumber and owner, Mark Weilhammer himself! We offer a wide range of commercial and residential plumbing services at the most competitive prices in town. We even offer plumbing repair coupons! Call 317-784-1870 for drain repair and plumbing service in Indianapolis and its surrounding counties. This entry was posted in Clogged Drains, Plumbing Repair and tagged bathroom plumbing repair, clogged drain, clogged drains, commercial plumbing, drain cleaner, drain cleaning, drain repair, Emergency Plumbing Indianapolis, fix a clogged drain, Indianapolis plumbing, plumbing pipe repair, plumbing repair coupons. Bookmark the permalink.